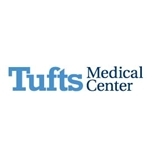 Tufts Medical Center - Otolaryngology (Boston) - Book Appointment Online! Dr Lee is very professional, knowledgable and easy to talk with. After seeing him, I understand the difference between an average doctor, and an excellent doctor.